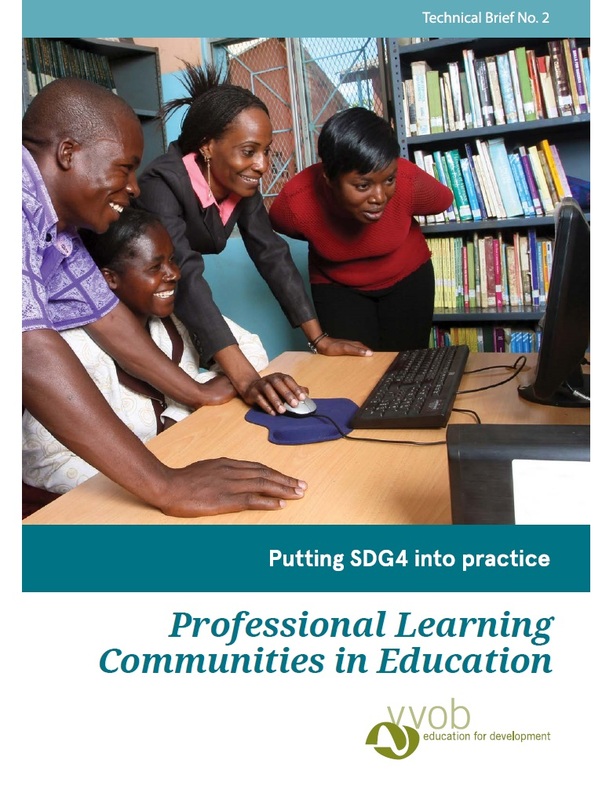 Putting SDG 4 into practice: School leadership, a technical brief describes why professional learning communities (PLC) matter for quality education, VVOB’s approach to sustainably creating and managing these communities, and how this works in practice in our partner countries. PLCs play an important role in the professional development and motivation of teachers and school leaders. VVOB’s model for successful PLCs is two-dimensional: both the policy environment and the capacity to implement are crucial to organizing effective and sustainable PLCs, that genuinely enhance the professional development of teachers and school leaders. The experiences of VVOB demonstrate how reinforcing the capacities of national and local education authorities to establish and support PLCs is indeed of crucial importance to the success of these communities.